Wayne and I purchased a new means of transportation for our quads on Powell Lake. We were planning to get a landing craft, but none were available in the smaller size we desired, or our price range. Then we found the perfect solution, a 24-foot welded aluminum barge. It can hold three quads if our friend John wants to join us on a ride. It's also a great work boat for us to haul materials and equipment up and down the lake. 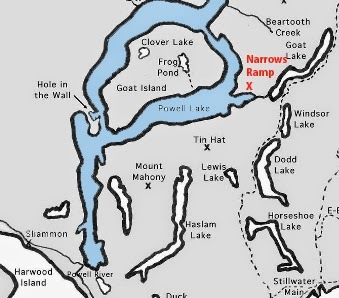 One of our first rides on Powell Lake was to the Narrows logging dock and barge ramp near the entrance to Goat River and Goat Lake. Of course, logging companies open up the backcountry for their own purposes. But they also provide a great service to recreational users who want to get through dense forested areas to enjoy nature. 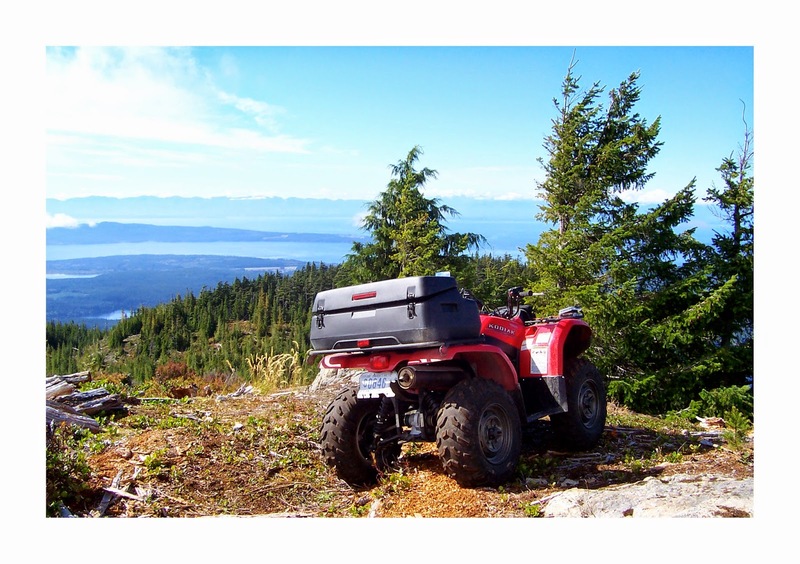 First we called the Western Forest Products office at (604) 485-3100 to get a logging update. The Western Forest Products Stillwater Forest Operation encompasses the land surrounding Powell Lake. We learned there wouldn't be any logging at the Narrows, so we were able to unload our quads at the ramp and park our barge at the nearby dock without interfering with any crews. We ended up camping for the night to make it a two day adventure. Once the quads are on shore, the barge becomes our tent platform. The logging roads in the Narrows region lead through forested areas about 100 years old. Interspersed are slashes in a wide range of regrowth from current plantings through trees already decades old. Powell Lake from Narrows Main with float cabins along the shore. Click here to see an online map of the region. It's updated monthly. Care needs to be taken when using logging roads. Western Forest Products also has a 24/7 hotline at 604-485-3132 where you can get recorded information about logging, road building, and hauling activity. Powell Lake looking towards the Rainbow area near sunset. 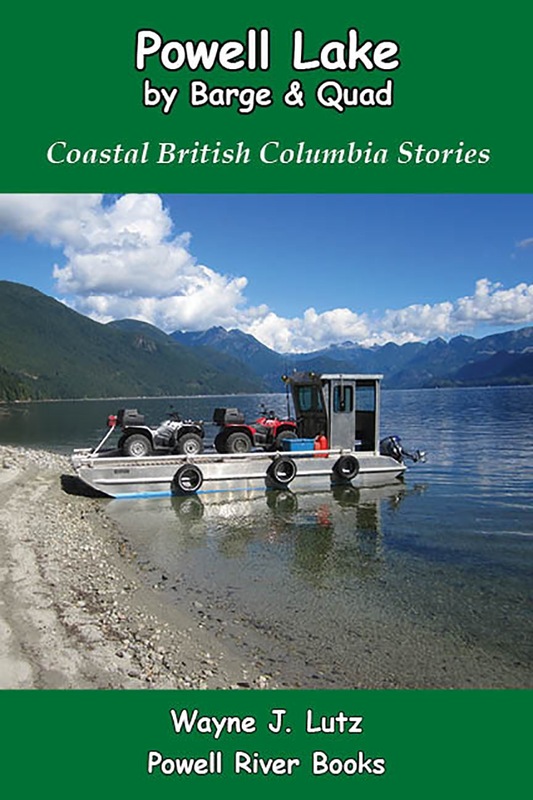 Ferns and Fallers is a new publication by Powell River Living Magazine that highlights the partnership between the logging and recreational communities in and around Powell River.